Danielle Caplan has been smiling a little bigger ever since she returned from the 2018 Fiery Food Challenge in Irving, Texas in January. 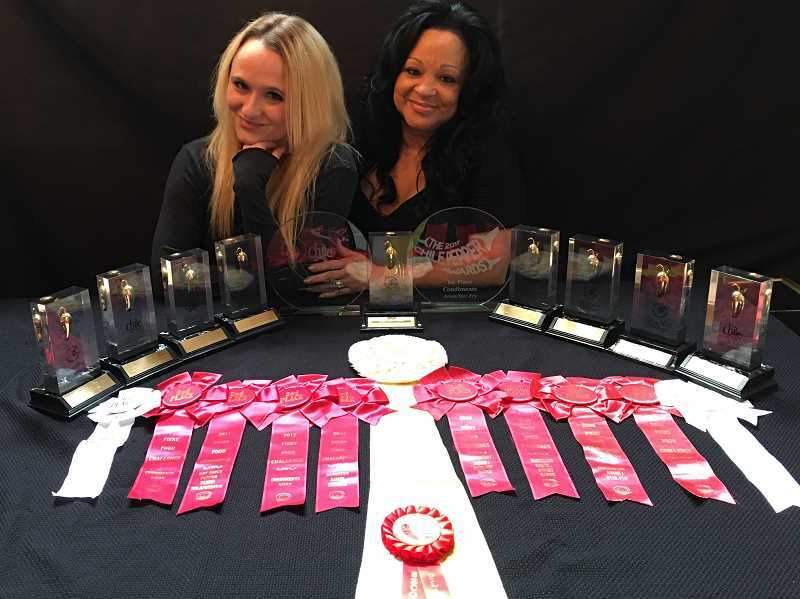 As the owner of Danielle's Sauces, Caplan was awarded the Golden Chile Award in the competition for two of her products, Danielle's Smoke & Spice Barbecue Sauce and Danielle's Sweet Chili Sauce. And Danielle's Chiliyaki Sauce placed third in the Asian condiment category. The Fiery Food Challenge pits products from the United States and international contenders against each other in various categories. Professional judges evaluate hundreds of sauces, salsas and other spicy treats and select first-, second- and third-place winners in each category. "The competition is a blind tasting," said Caplan, who owns the company with her husband Marc. "And each year, the judges are different. We've been consistent winners with our barbecue sauce three or four years in a row." Caplan, a longtime Lake Oswego resident who now lives in West Linn, said her interest in cooking was piqued as a teenager when she was given a copy of "The Joy of Cooking." She began paying attention to anyone she met who was an accomplished cook, collecting recipes and then improving them. While living in Hawaii during her teenage years, she lived next to a Japanese woman who regularly prepared traditional Asian and Hawaiian dishes for her to try. Caplan absorbed that culinary knowledge and skills, and she began developing her own cooking style. Over the next decade, she traveled often to the American South, a region known for its chefs, spices and rich cuisine. Her father, born and raised in Arkansas, introduced her to soul food and at one point, she and her husband took classes from famed American celebrity chef Paul Prudhomme, who specialized in the Louisiana Cajun and Creole cuisines. Steeping all these influences together resulted in an intriguing mixture of creativity and thought, which Caplan draws upon today to develop new recipes. The Caplans had a catering and restaurant business for many years, and bottled Danielle's sauces for sale as a separate business. "We used to work with several large distributors and had our line in 3,000 stores across the U.S.," Caplan said. "After free fills, slotting fees, discounts, seasonal specials, mandatory show fees, program ads and broker compensation, we lost well into six figures. After 17 years of success, we almost lost everything. Fortunately the internet gave us the ability to do away with brick-and-mortar stores and sell online." The Caplans kept two retail outlets: Cutsforth Thriftway in Canby and Allick's Sausage Kitchen in Milwaukie. "Our business plan changed 10 years ago to internet sales, farmers markets, retail shows, competing in national sauce shows to build a following in different regions, and home deliveries," she says. "This has been a winning formula for us." Since 2008, the company has won more than 30 awards at national competitions. Caplan has created six sauces, including Chiliyaki Spicy Teriyaki, Smoke & Spice BBQ, Sweet BBQ, Sweet Chili, Sweet Habanero and Teriyaki. Daughter Charisse Caplan helps at farmers markets and competitions, and niece Kat Tuitele and her husband Tolo Tuitele take care of the internet business. 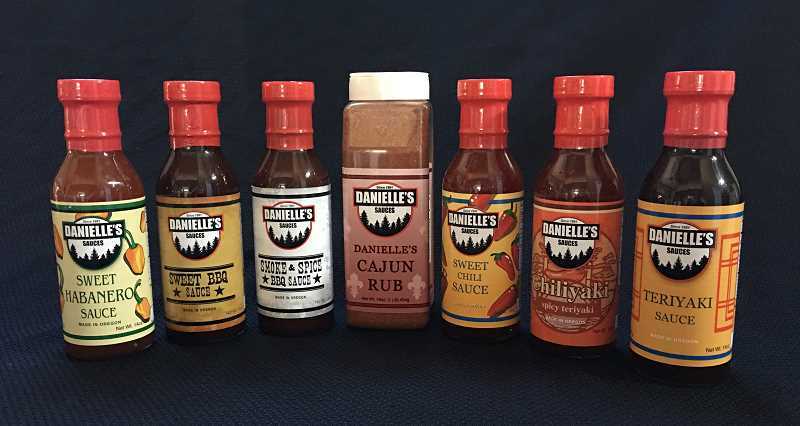 What's next from Danielle's Sauces? "I'm working on a steak sauce," she said. "And maybe a salad dressing. And I have this rub called Danielle's Cajun Dust that I developed when we were working with Paul Prudhomme that we never released." Danielle's Sauces are all-natural, fat-free, low-sodium sauces. 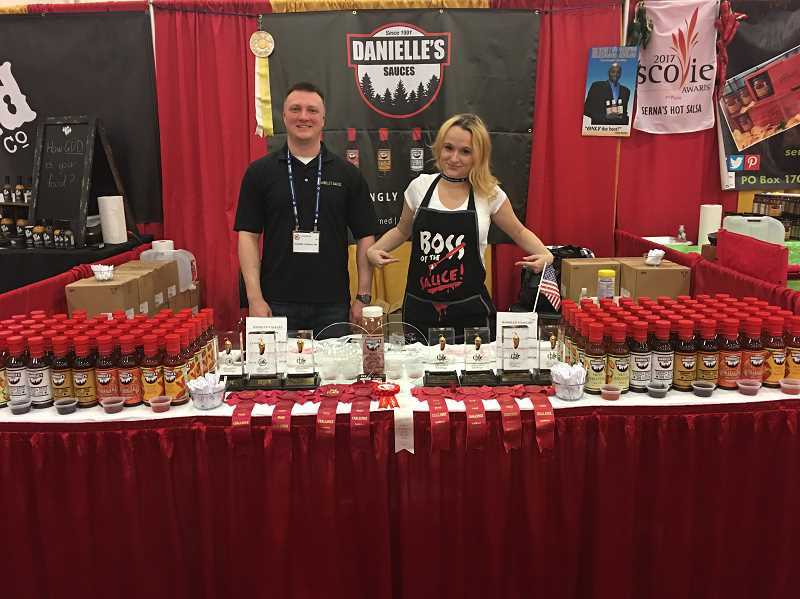 "We work very hard to develop sauces that are unrivaled in quality and flavor," reads the Danielle's Sauces website, daniellessauces.com. "Our demographic for Danielle's Sauces includes children, teens, young adults, middle ages and the elderly, all income levels, all ethnic backgrounds, men and women. After all, who doesn't want to use products that make food taste even better, while at the same time maintaining the healthy goodness of your meal?" To order products, call Marc or Danielle Caplan at 503-807-0012 or visit daniellessauces.com.